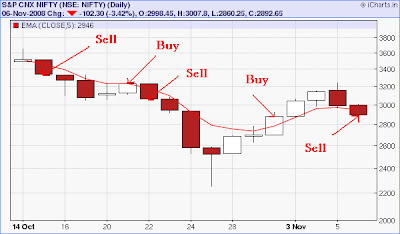 Here is a simple price action Vs EMA strategy to predict the next day's trend of the Index or Stock. Though it is an easy strategy it will provide you absolutely amazing profits. I have faced one problem…that is How shall I trade on the closing price of the candle…because you told that trading should be placed after closing of the candle stick and after the closing of the candle stick I have to trade on a new candle stick…So will it possible to trade on the closing price of the candle?please reply early..
We are not selling backtest reports here. It is advisable to test on your own! how can I make profit from commodity market.